Subito Music Corporation is saddened to note the passing of composer Leo Kraft on April 30, 2014. Born in Brooklyn, NY in 1922, Kraft attended Queens College and Princeton University, and studied composition with Karol Rathaus, Randall Thompson, and Nadia Boulanger. Kraft later returned to Queens College, where he served a long tenure as a respected faculty member of the Aaron Copland School of Music (City University of New York). He was a founding member of the College Music Society, served as president of the American Music Center, and was also an active member of the Society of Composers Inc, the Society for Music Theory, and the League of Composers/International Society for Contemporary Music. A member of ASCAP, Kraft was a prolific composer to the end in his 92nd year. While the majority of Kraft’s catalog (Seesaw Music, distributed by Subito Music) features chamber pieces, he also wrote works for orchestra, chorus, voice and piano. His music can be heard on Albany Records, CRI, Capstone, Centaur and Arizona University Recordings. 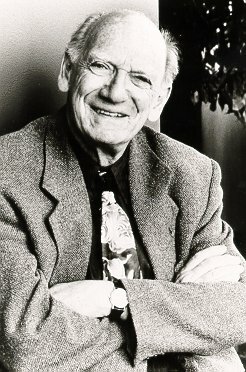 After retiring from Queens College and receiving the honor of Professor Emeritus, Kraft continued to compose. His recent chamber works include: Carolina (for alto saxophone and piano); For Those We Loved (for orchestra), Testimonium (solo piano), Toccato for Two Pianos, and Partita a tre (for clarinet, cello, and piano). His most recent work To Whom It May Concern was commissioned by the Da Capo Chamber Players who premiered it in February 2014 at Merkin Concert Hall in New York City.